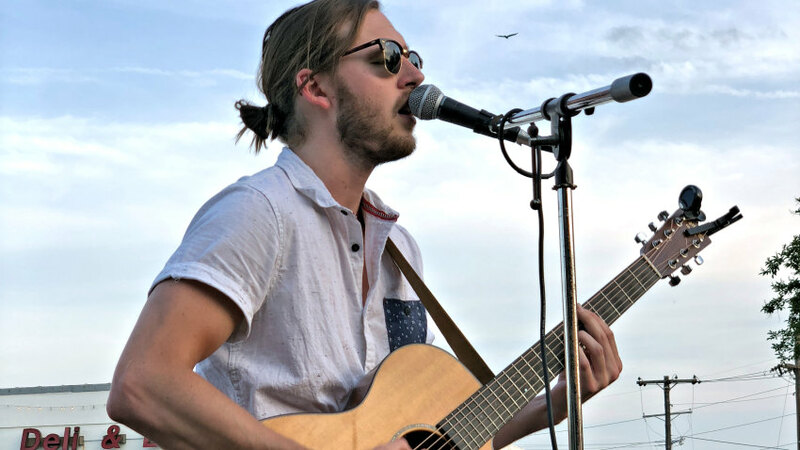 Seth Power plays during a 2018 Fondren After 5. Fondren After 5 returns Thursday to kick off the season. For 2019, the first Thursday evening event will run April 4, May 2 and June 6. With July 4 on a Thursday, the series takes a break and picks back up Aug. 1, Sept. 5 and Oct. 3. At one time known as Art Mix and, more recently, Fondren’s First Thursday, Fondren After 5 provides a family-friendly monthly “festival” of sorts featuring special activities centered around Fondren’s downtown historic district. “The ones it benefits are the ones that are really stepping up to make sure it continues,” Fondren Renaissance Foundation (FRF) Executive DirectorJim Wilkirson said of merchants, restaurateurs and other neighborhood leaders who guide the monthly event. Brandi Lee (Hal & Mal’s, who runs Duling Hall’s bar) will continue to promote “Duling Avenue Live,” blocking the street from State Street to Morgan Place with her usual mix of music, artists and kids’ activities. At the corner of Duling and State, The Beacon hosts their “consciously curated” Beacon Makers Market with small-batch artisan makers, farmers and artists of all kinds. For April, Hops & Habanas, which began in Madison before opening in Fondren in 2014, will celebrate their 10 year anniversary. Ardenland presents the band, Future Thieves, at Duling Hall (a ticket is required) and FRF hosts their spring art opening at The Cedars (see the full April list here). Looking ahead, May is Mental Health month with a host of informational booths coming to Duling Avenue. Wilkirson said future months could include a specific focus where art-centric merchants like Brown’s, Fondren Art Gallery, The Gaddis Group and Interiors Market could all sync up for a gallery hop. He acknowledged that Fondren After 5 plays heavily to restaurant and bar traffic and that stores may focus their energies in strategic spots. “Different merchants will come together, maybe for a tent sale one month, but not be open every month,” he added. With FRF acting as a clearinghouse of some sort, Wilkirson will help guide interested participants to the right contact. “But I’m not putting out barricades every month,” he laughed. Byron Knight at Sneaky Beans has said he is committed to reviving Sneaky Fest, bringing back some of the original bands from the last time he hosted the event in 2011. Mississippi Food and Wine is June 13-15 and a dodgeball tournament is slated for August. Chane has scheduled a skateboarding event for Sept. 7.